Despite sharing numerous similarities with other animated shows of its era, ThunderCats boasted one ingredient which its contemporaries sorely lacked, a strong female lead. 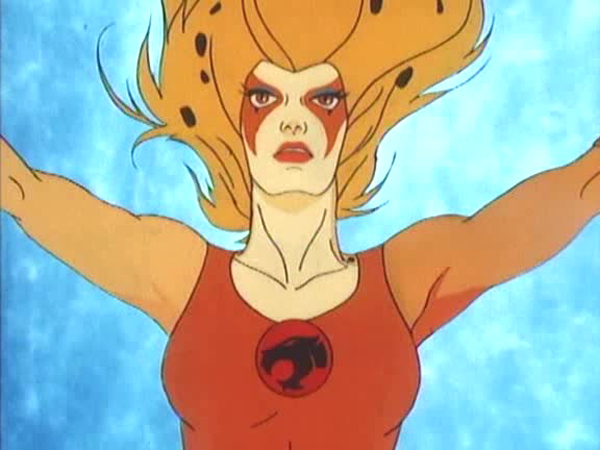 Despite being the sole adult female protagonist in the entire first season of ThunderCats, Cheetara was rarely cast as a damsel in distress. That dubious honor goes to Tygra! Even after the introduction of Pumyra in season two, Cheetara still remained the alpha female, thanks to the writers frequently placing her in the spotlight, as they did in “Telepathy Beam”. 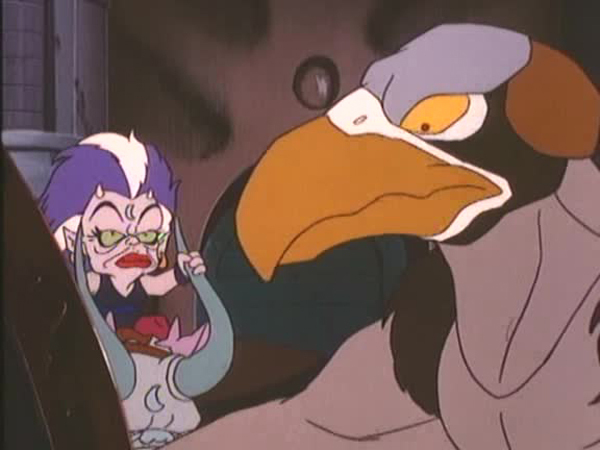 The episode takes us deep into the heart of Castle Plun-Darr where Vultureman, in collaboration with the Lunataks, is developing a device to impair Cheetara. 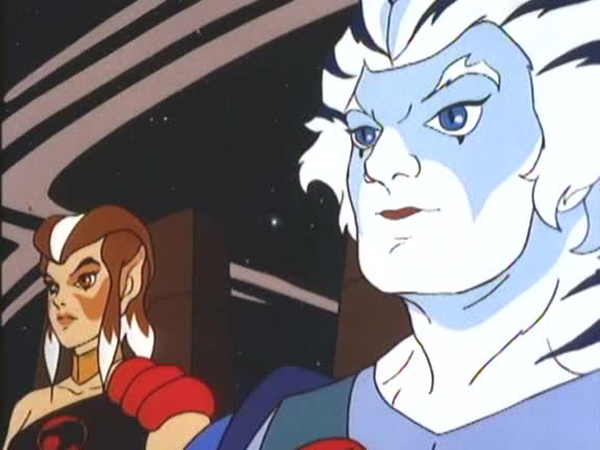 However, this is only part of the villains’ much bigger scheme which involves capturing and forcing Panthro to upgrade Skytomb for interstellar travel. 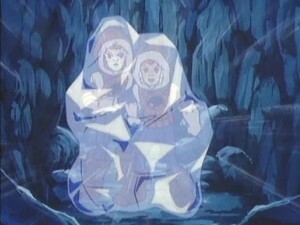 Luna hopes to secure the Treasure of Thundera before the ThunderCats and thus requires Skytomb to be able to travel to New Thundera. Inside Cats’ Lair, Cheetara’s sixth sense shows her images of the Mutants attacking the Berbil village. She and Lion-O rush there only to find the robotic teddy bears happily picking Candy Fruit. There Cheetara sees another vision, this time of a Lunatak onslaught on the Warrior Maidens. 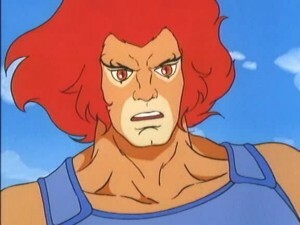 As soon as the two ThunderCats reach the maidens’ Treetop Kingdom, they realize that it was another false alarm. It turns out that Vultureman and his latest invention, the Telepathy Beam, are responsible for planting the false images in Cheetara’s mind and sending her on wild goose chases. 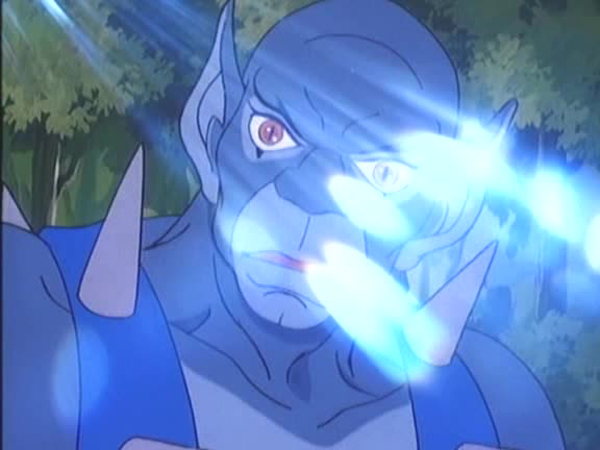 When Cheetara sees a vision of Panthro being attacked by the Lunataks, she chooses to keep it to herself, fearing that it to be another delusion. Unfortunately, the vision turns out to be real and using his mind-control orb, Alluro takes control of Panthro and leads him to Skytomb in accordance with their plan. Vultureman continues to bombard Cheetara’s mind with frightful images of Panthro in trouble on Hook Mountain, inside Castle Plun-Darr, and inside Mumm-Ra’s tomb. Leaving Cheetara behind, the other ThunderCats rush to investigate the three locations and all get caught by the Lunataks. 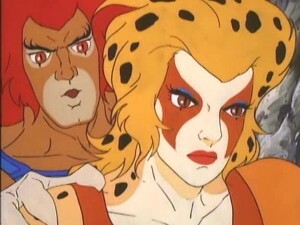 As she continues to be tormented by her haywire sixth sense, Cheetara completely loses faith in herself and her indecision almost causes the Feliner to crash. She finally confesses to Lynx-O who advises her to listen to her heart to filter out all the false visions. 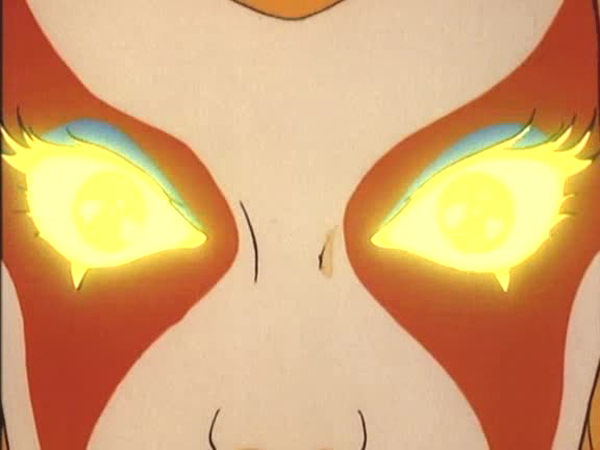 In a stunningly animated sequence, Cheetara composes herself and proclaims, “I am Cheetara. In my heart, I know I am the strongest of my kind, the pride of my people. I am unique in this universe, and I will not be defeated!” As her declaration echoes in the sky, powerful telekinetic beams emanate from her body, destroying the Telepathy Beam as well as Skytomb’s engines and simultaneously freeing the captured ThunderCats, who return home victorious. Multiple episodes of ThunderCats have Cheetara taking center stage, but none explore her inner conflict the way this episode does. Cheetara’s sixth sense has been a valuable albeit unstable power, and writer Kimberly Morris cleverly explores both of those aspects. Unlike previous episodes where she was fighting Mutants, Lunataks, and Mumm-Ra, in “Telepathy Beam” Cheetara is battling with herself. One cannot help but sympathize with her as she simultaneously struggles to cope with her turbulent mind and the doubt in her friends’ eyes. However, like a phoenix, Cheetara rises from the ashes using her own willpower to rectify the situation and turn it to her favor. For once, it is a welcome sight to see someone other than Lion-O and the power of the Sword of Omens resolving the episode. Not only does Cheetara emerge from this dilemma stronger, but also with more control over her sixth sense. 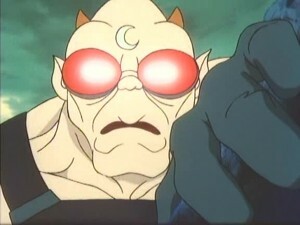 Apart from Jackalman, no Mutants appear in the episode. They only appear in the false images that Vultureman generates. 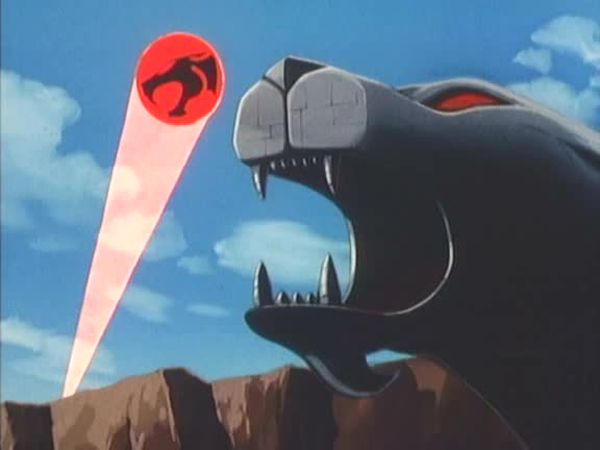 When the Lunataks lure Lion-O into Mumm-Ra’s pyramid, the evil mummy himself does not emerge from his sarcophagus and only his brief cackle is heard. 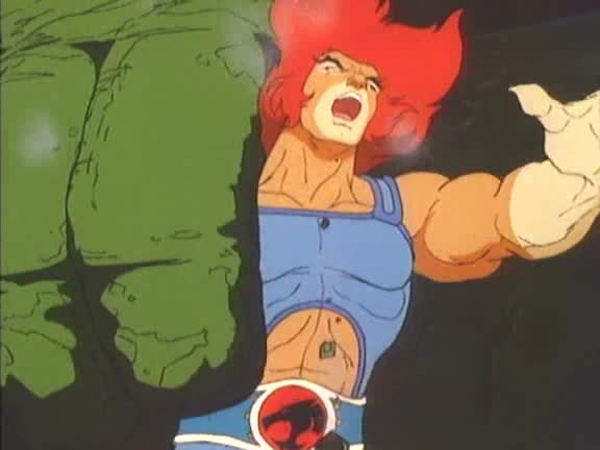 The Ancient Spirits of Evil statues take an active role in this episode by grabbing Lion-O. 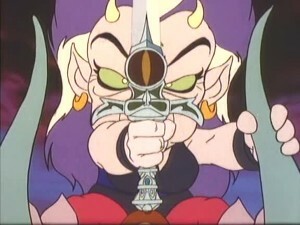 At the end of the episode, Cheetara discovers that she also possesses untapped telekinetic powers.